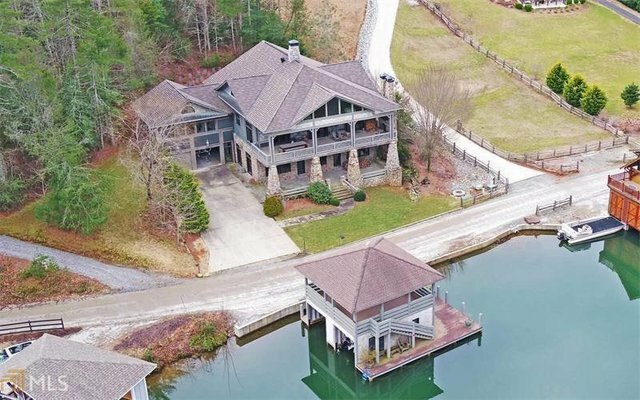 Nestled beside the calm waters of upper Lake Rabun you will find this exceptionally well crafted home. Located a few steps from the lake it will amaze you with the craftsmanship and room typically reserved for considerably higher priced lake properties. The exterior features durable low maintenance materials and real river rock for years of easy enjoyment. High quality details can be seen throughout the home inside and out. Multiple living and generous gathering areas provide a place where family and friends can enjoy the serenity enjoyment only found on the lakes. The two stall boathouse has a relaxing deck above and room for your water toys. This is a must see property that is ready for full or part time living.